Hello Leaky Shed Studio fans. It's the first post for our product swap with BoBunny. 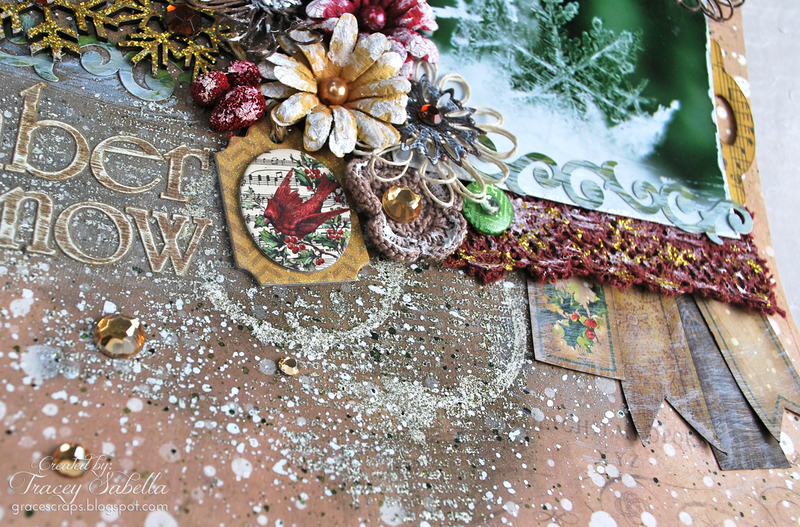 It's Tracey here to share a layout I created with Leaky Shed Studio Snowflakes and Snowflake Border Chipboard paired with the BoBunny Christmas Collage Collection. I had so much fun working with these gorgeous products. Although this paper is designed as a Christmas collection, some of the pages lend themselves beautifully to other uses like this wintry page. 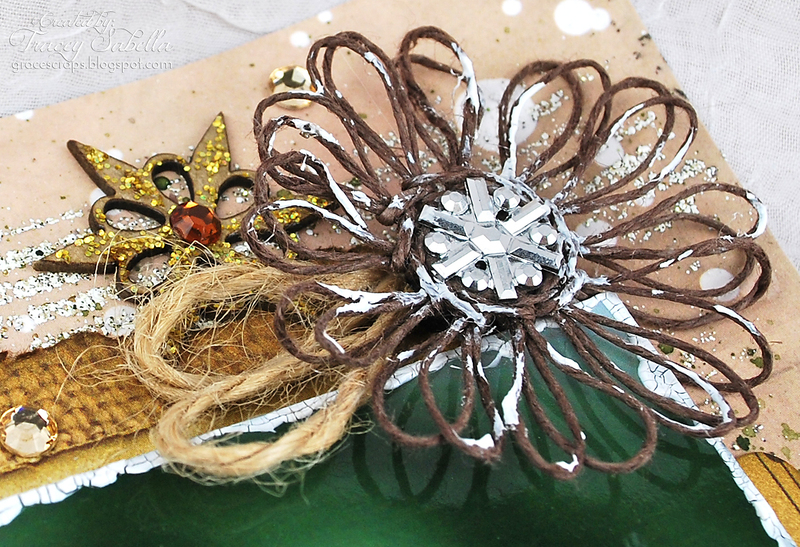 I've clustered gorgeous BoBunny Daisy and Bouquet flowers, jewels, buttons, trinkets, lace, stickers, and layered chipboard along with handcrafted twine flowers around my snowflake photo. 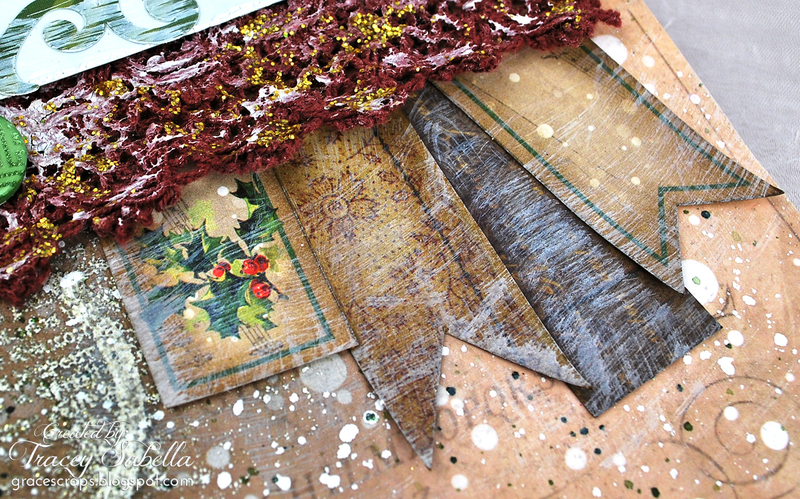 For a wintry feel, I've brushed and dabbed white crackle paint over the elements. 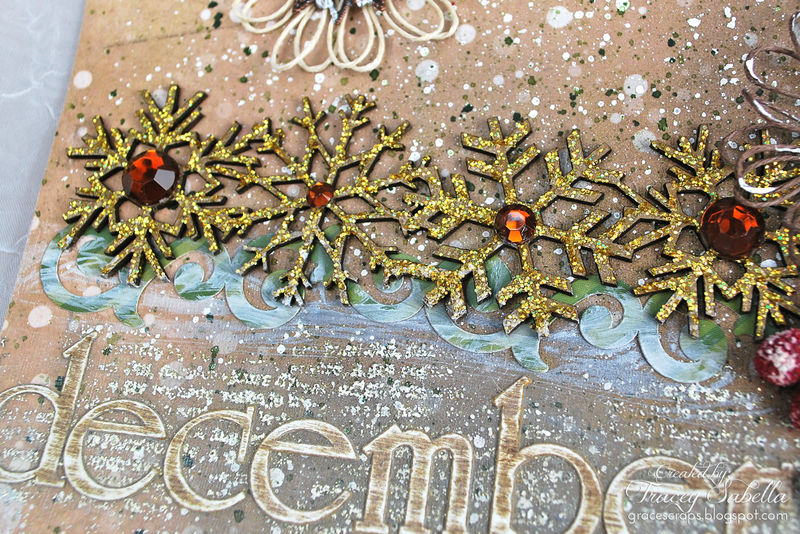 One of Leaky Shed Studio's new release pieces is this gorgeous Snowflake Border (Small). I've simply dabbed it with BoBunny Gold Glitter Paste, leaving bits of the bare chipboard peeking through. I've added a Mocha BoBunny Jewel to the center of each flake. My title uses the BoBunny Combo Stickers. The letters are close in color to my background, so I adhered them then lightly sanded to help them pop. 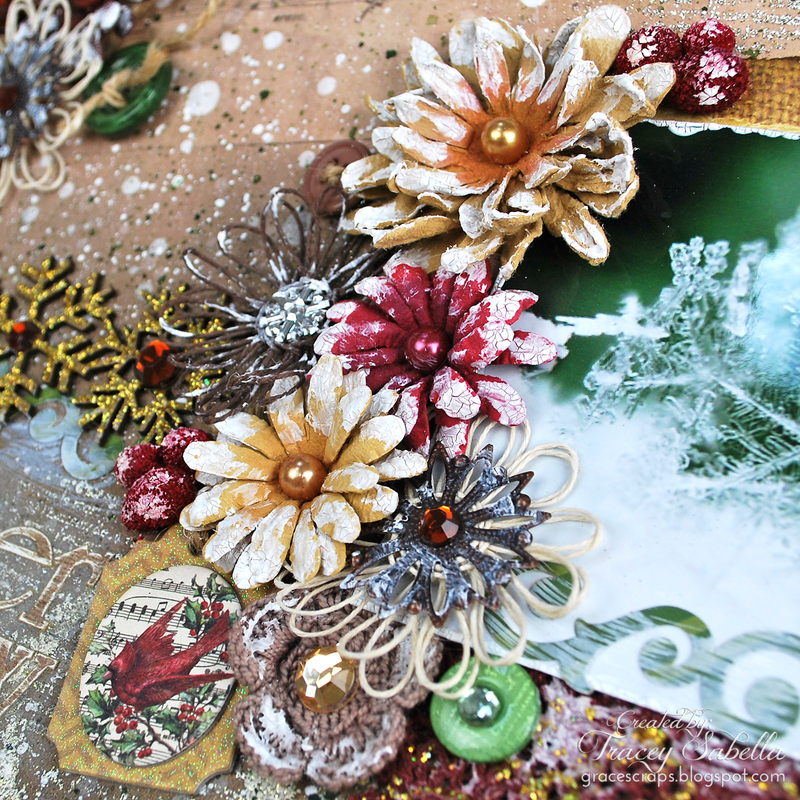 The green flourish behind the snowflakes is also from the the Christmas Collage Combo Sticker sheet. 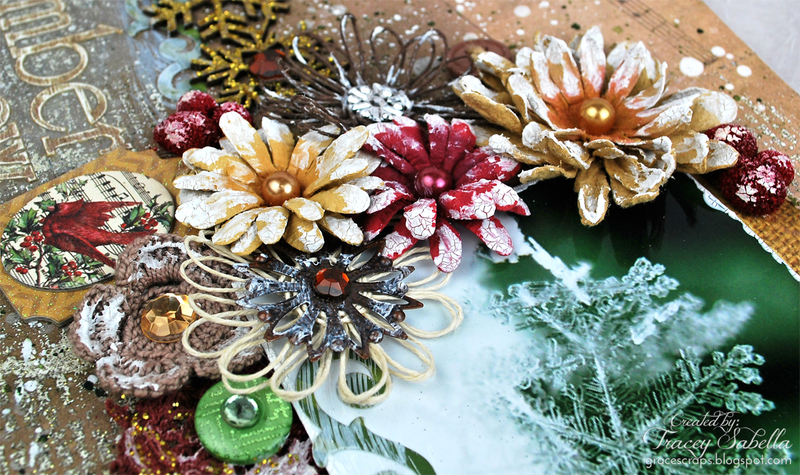 Above the photo I've clustered one of my handcrafted twine flowers centered with a BoBunny snowflake button and one of the Leaky Shed Studio Snowflakes from the Six Snowflakes set. I edged the photo with white crackle paint for a snowy effect. A tutorial for my twine flower can be found HERE. I used one of the tags from the Decoupage page and cut more flags from paper scraps for my banner. I dry brushed the banner with gesso. Above the tags is a piece of BoBunny lace dabbed with Gold Glitter Paste and Crackle Paint. In the center of the page and under the title, I spritzed BoBunny Bronze Glimmer Spray. 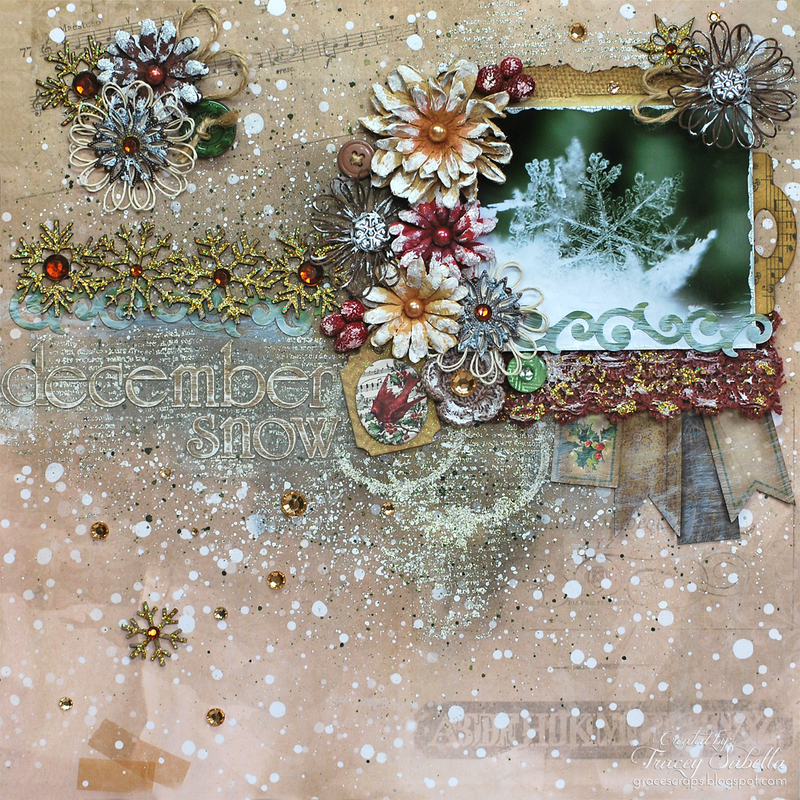 Since it is a winter page, I wanted to lighten it just a bit, so stamped the background using BoBunny's It is Written and Stained Textures stamp sets. 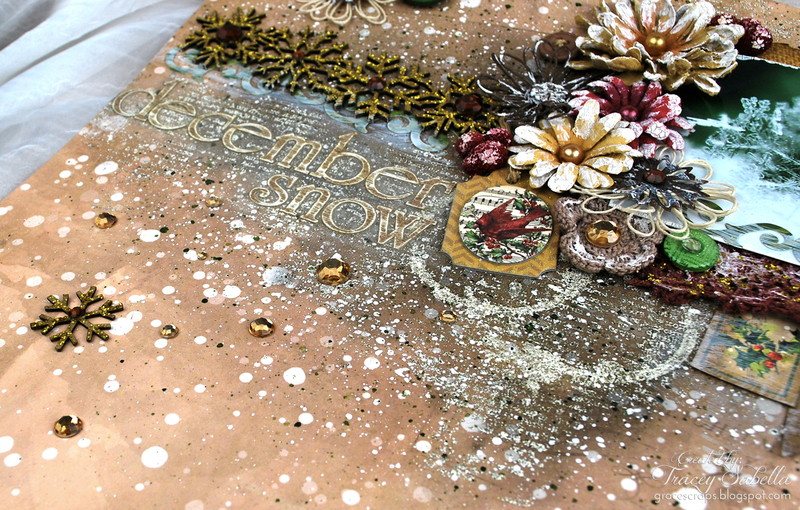 I then heat embossed using Shabby White Embossing Enamel by Fran-tage. More texture is added by splattering with white and green drawing ink. 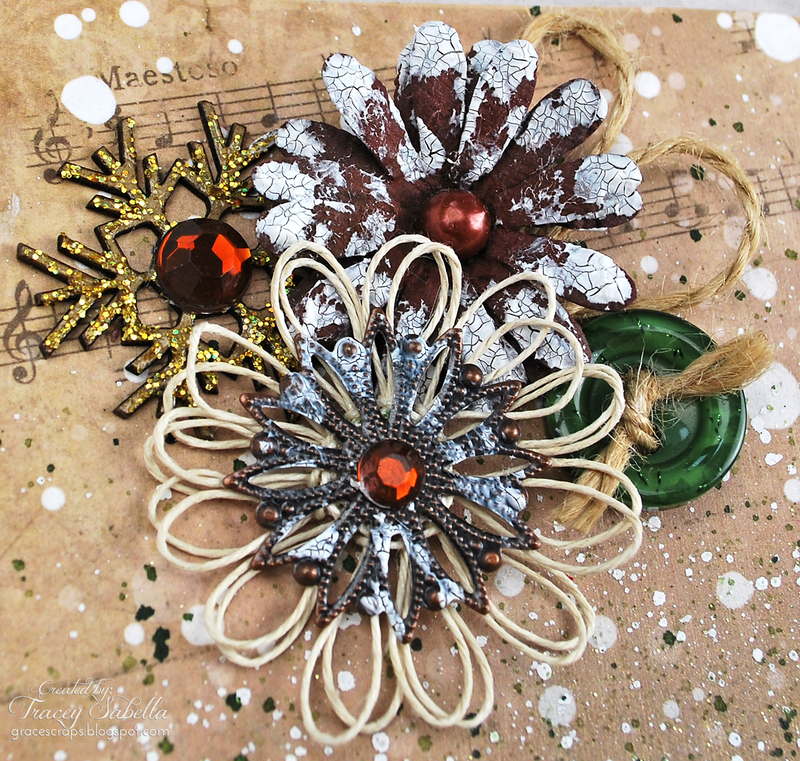 I've scattered some of the BoBunny Mocha Jewels around the page along with another of the Leaky Shed Studio Snowflakes. 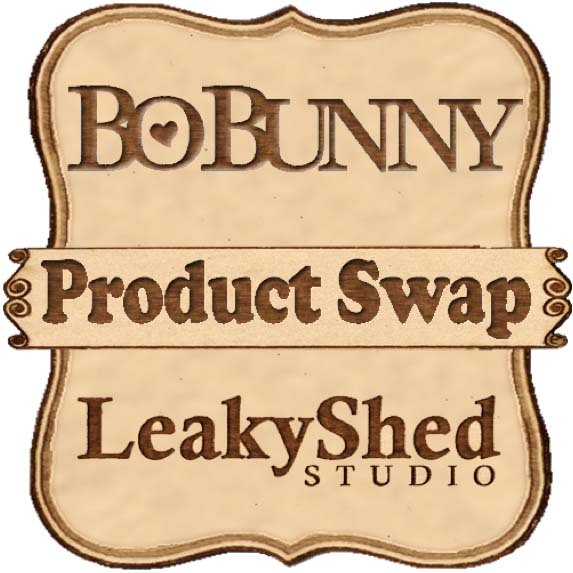 Leaky Shed Studio Chipboard and BoBunny products. BoBunny has generously provided this fabulous give-away package for one of our fortunate followers. 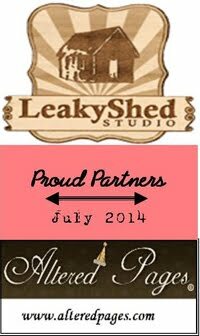 ~ Leave a comment on each Leaky Shed Studio Facebook Page Post during the swap, December 9 to 31. You have until midnight EST on January 3rd to leave your comments. ~ The randomly selected winner will be announced on January 5th, 2015. Be sure to check out our links for more inspiration from our talented team. 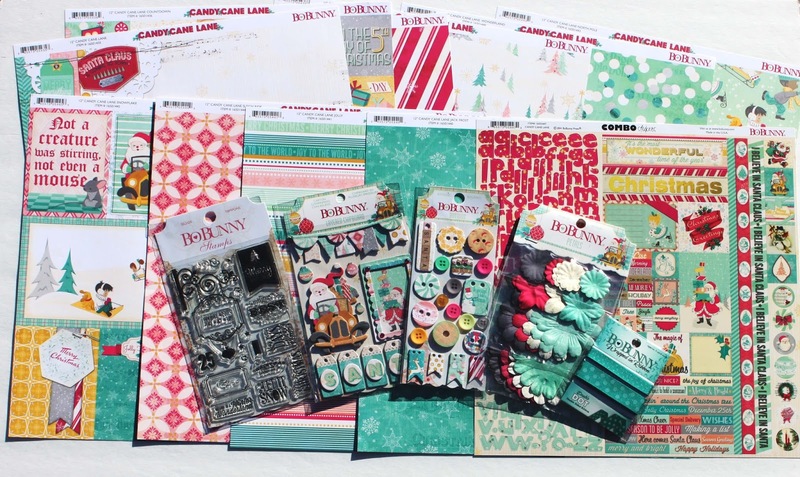 For a chance to win a fabulous Leaky Shed Studio chipboard prize package, stop on by the BoBunny blog for all the details. For a full product listing from today's project, please stop by my blog, Garden of Grace. Oh my Tracey, That is gorgeous, The picture is amazing and so crisp. LOVE!!!! This is absolutely stunning! Had to pin it for inspiration! The December Snow layout knocked my socks off!! Stunning and so beautiful. Love the colors and the detail! Simply stunning! Such beautiful details! Love this!! Simply gorgeous. Love all the wonderful details. Wish I had that much talent. Love seeing this. This is just gorgeous Tracey!!! Absolutely beautiful! I love the colours and the snowflakes!